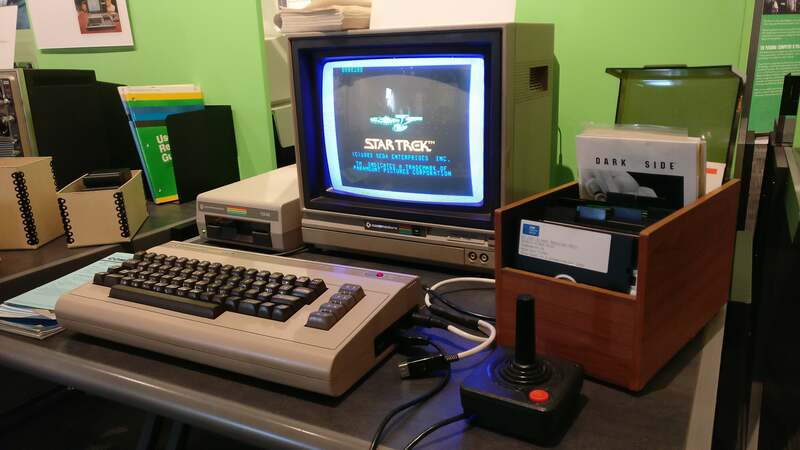 In 2017 I went up to Seattle for PAX as usual, and while I was up there I heard about the Living Computer Museum, an institution in southern Seattle founded by Paul Allen to preserve PC history. I took a day off from the show to wander down there, got a behind-the-scenes tour of the museum, and then...never got around to writing about it. Fall’s busy video game release season buried me, and while I eventually transcribed a full hour of audio and wrote the story, it seemed weird to run it six or eight months after the fact—so it just sat on my hard drive. Paul Allen passed away yesterday though, and as a result it seems like a great time to celebrate one of his lesser-known ventures. 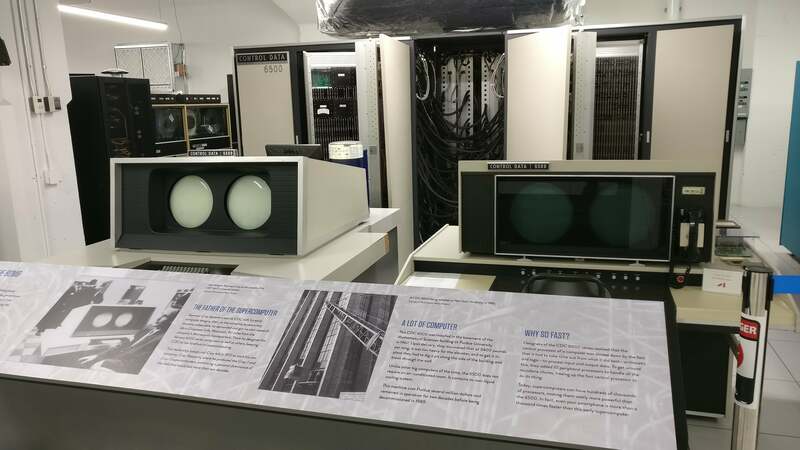 What started as a bit of nostalgia for him, a PDP-10 in a nondescript Seattle warehouse, is now one of the best computer museums I’ve ever been to, a truly special place where visitors can go hands-on with everything from a CDC 6500 to an Apple I to a Xerox Alto. Some of the details may have changed in the last 14 months—I don’t, for instance, know whether the museum’s gotten its CRAY-2 up and running yet. I hope you’ll enjoy this look into the museum though, both its public-facing side and the enormous support operation it necessitates, and thanks to Paul Allen for his role in founding such a wonderful institution. “Other museums put a glass in front of their computers. 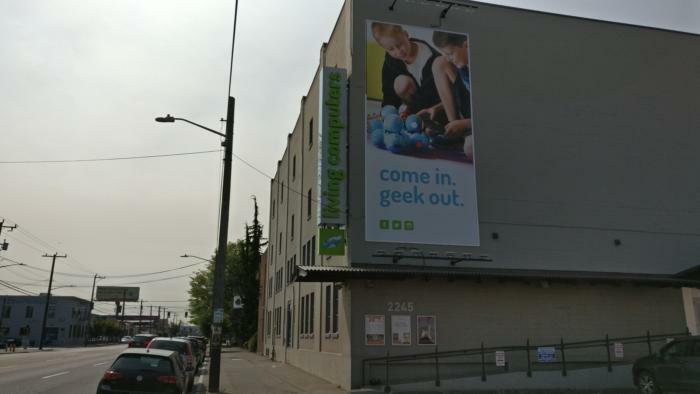 We put a chair.” I toured Seattle’s Living Computer Museum for over an hour with Executive Director Lath Carlson, but it’s that one simple line that stuck with me most—a perfect encapsulation of what makes the Living Computer Museum special. Housed in Seattle’s SoDo neighborhood, the Living Computer Museum doesn’t look like much from the outside—it’s cleaner and a bit brighter than the surrounding warehouses, but those who know Seattle know that’s also not saying much. Inside this unassuming building is probably the foremost PC history museum I’ve ever visited though, if only for one reason: You can actually use the PCs on display. Even the supercomputers. “The museum actually started kind of backwards from most museums,” says Carlson, shouting over the noise of about a half-dozen mainframes. We’re standing in a bright white room filled with a CDC 6500, a Xerox Sigma 9, an IBM System/360 Model 30, and most importantly, a PDP-10. 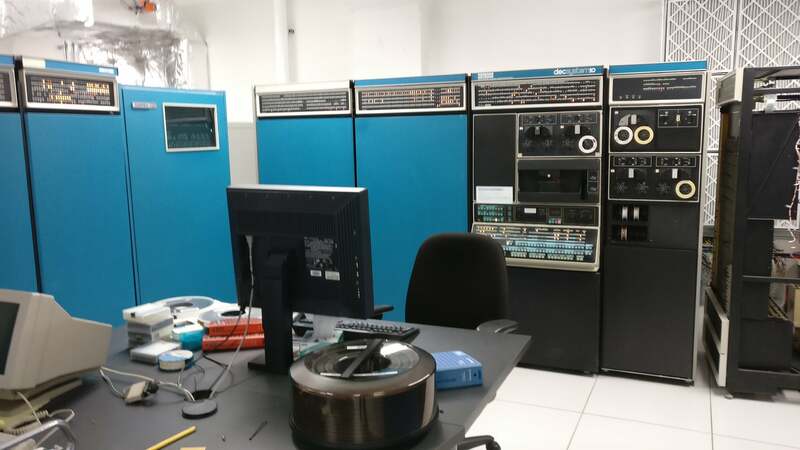 The PDP-10, I should say. Around 15 years ago now, Microsoft co-founder Paul Allen bought this PDP-10, the same model he and Bill Gates used in their earliest years. And then he put it up on the internet for people to remote login—you may have heard of PDPPlanet.com. Opened in 2012, said museum now encompasses two full floors of the warehouse. The PDP-10 sits among a half-dozen other mainframe machines, each with its own rich history. For instance, Carlson describes the restoration of a CDC 6500, one of the world’s earliest supercomputers, designed by the legendary Seymour Cray. “This machine came out of Purdue University, and when we got it, every one of these wires here was cut.” He gestures to a bank of thousands of wires running down the middle of the machine. 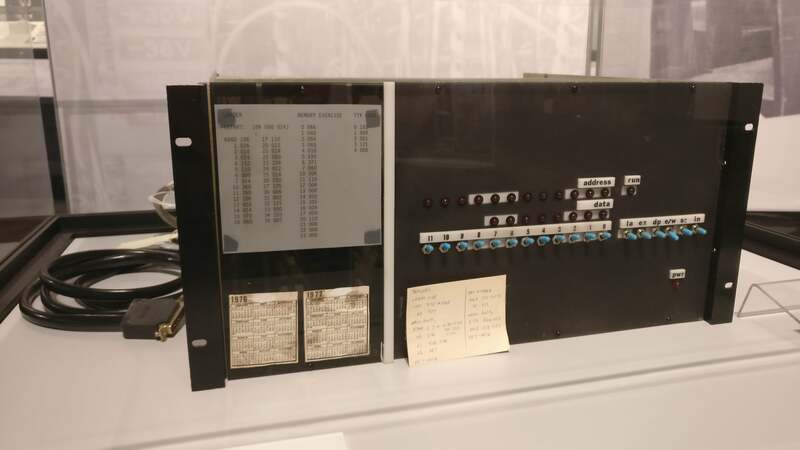 The museum also needed to replace some of the logic modules, and with no spare parts on-hand that meant reverse-engineering the hardware with modern parts. One of the museum’s engineers “had to take one of those apart and measure the value of every component, then redesign it.” They also installed a liquid cooling loop that runs all the way to the roof. 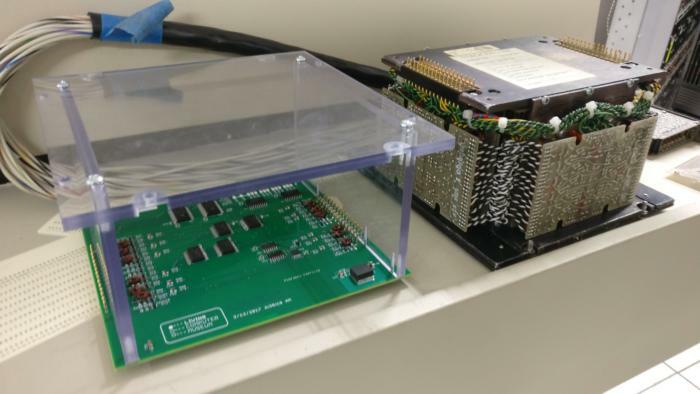 An original CDC 6500 module (right) versus the Living Computer Museum’s reverse-engineered version (left). A ton of work, but at the end? The CDC 6500 runs. 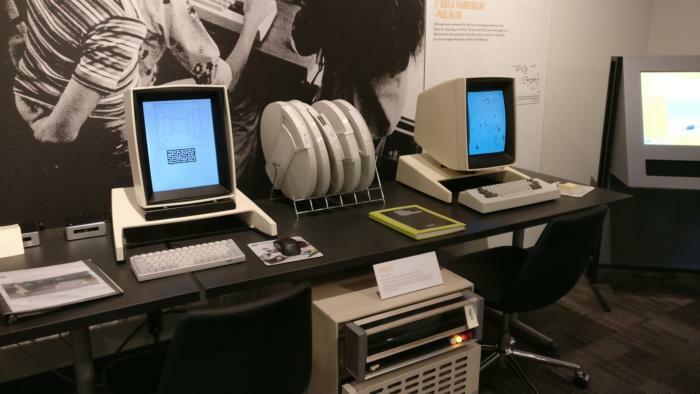 At the Living Computer Museum you can get your hands on the world’s third-ever supercomputer, one that helped study both nuclear physics and the structure of the cold virus, and which has less compute power than the phone in your pocket. Carlson talks me through the history of some other machines. One, an IBM 360-30, was found in a basement in North Carolina. It was half-dismantled when I saw it, recently scrubbed free of 20-odd years of mold damage. There’s an IBM 7090, which did time with NASA on the space program. There’s a punch card reader. Playing Oregon Trail on a Xerox Sigma 9. It’s history in a way I’m not used to—messy and mechanical and loud. Other museums I’ve been to, like the Computer History Museum down in California’s Mountain View, have exhibits that get across the size of these machines. 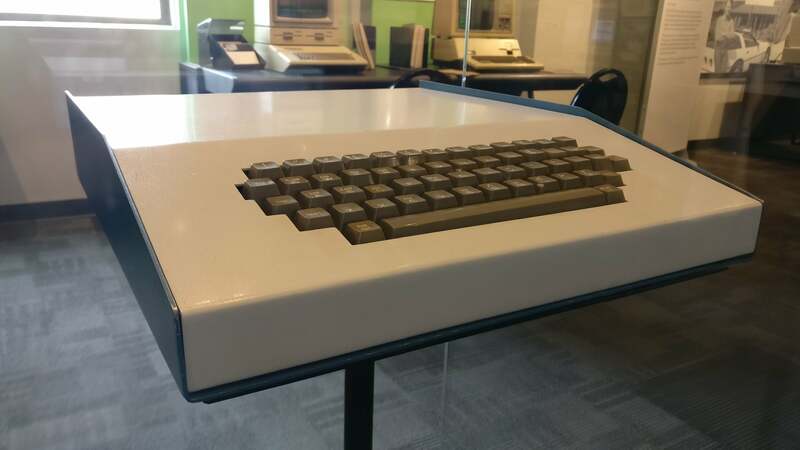 As someone who grew up after the mainframe era though, there’s a weird connection that forms from touching those old keyboards, like reaching through to a far-flung past. As with any relic, computers carry a piece of everyone who’s ever touched them. Outside the mainframe room, things start looking more familiar—at least to me. There’s a PDP-8 nearby, this one for visitors to play chess against. It takes forever. But past that are the minis, some of which are more special than others. Traf-O-Data was the first company founded by Gates and Allen, intended to process traffic reports. 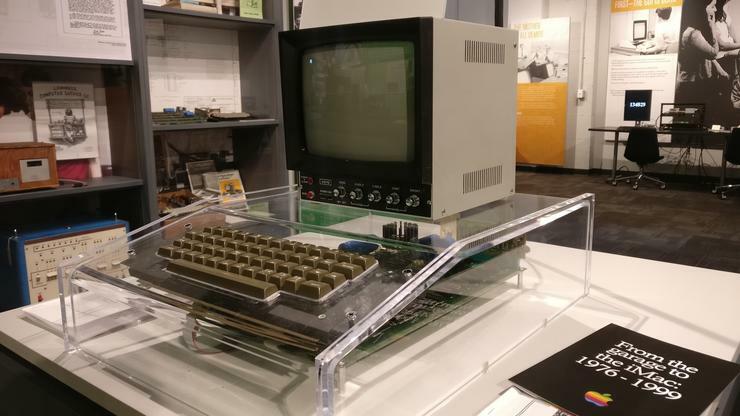 The Living Computer Museum also houses Steve Jobs’s first computer, a customized Apple I—also behind glass. “In ‘85 when Steve was forced out of Apple he left and literally left everything in his office. He didn’t take anything with him,” says Carlson. Apple’s HR department put his stuff up for grabs, “And this engineer that worked there, Don Hutmacher, kind of wandered over there, took a bag of Starbucks coffee and that computer off the shelf.” It sat in Hutmatcher’s workshop for 30 years until he passed away in 2015, at which point his family worked with the museum to establish the machine’s history. Two Xerox Altos—one real and one emulated. That’s another part of the Living Computer Museum’s magic: Using these machines means having the software to take advantage of them. 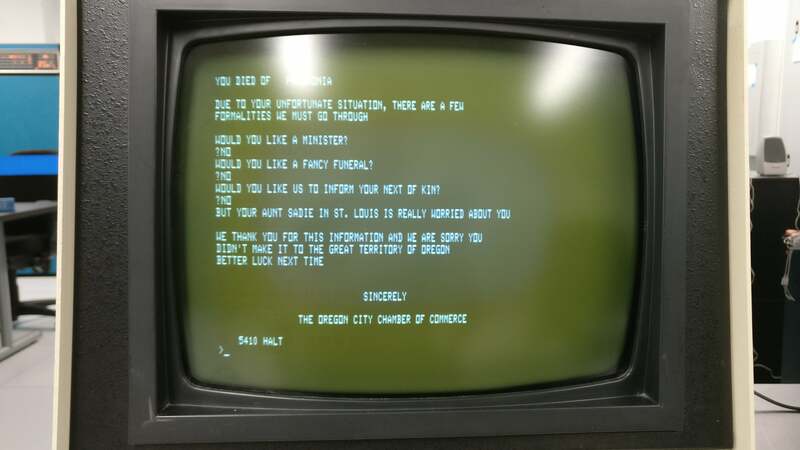 In the mainframe era that can mean booting up Oregon Trail for instance. As you head into the Apple II era, there are cases full of floppy disks nearby, then in the Windows 95 era that transitions to CDs. There might not be every bit of software on-hand that you remember, but it definitely triggered my nostalgia interacting with physical media again, especially when that entails the clunky floppy and CD drives of years gone by.